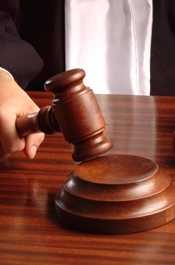 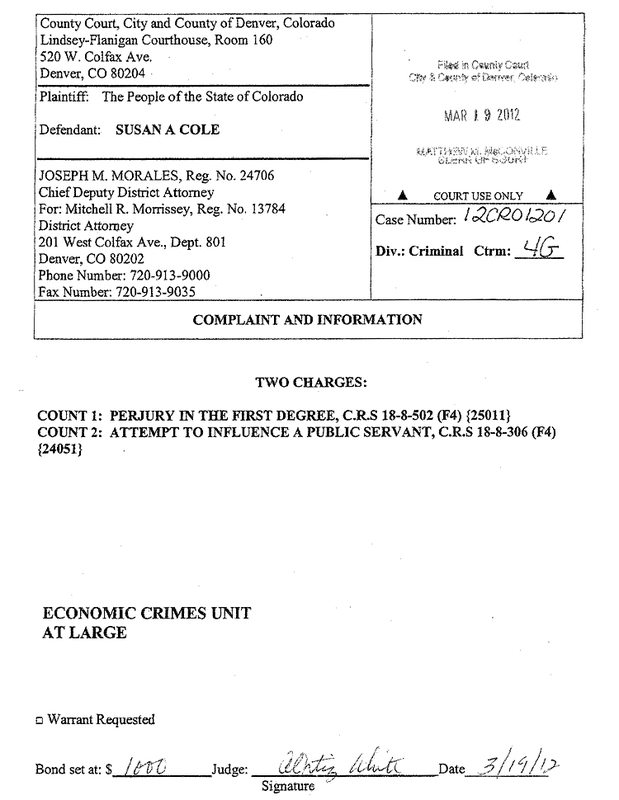 MARCH 22--A Colorado woman who schemed to get out of jury duty and then called into a talk radio program to brag about it is now behind bars after the judge whom she pulled the ruse on turned out to be listening to her on the show. 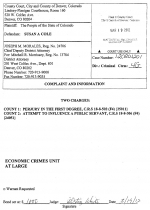 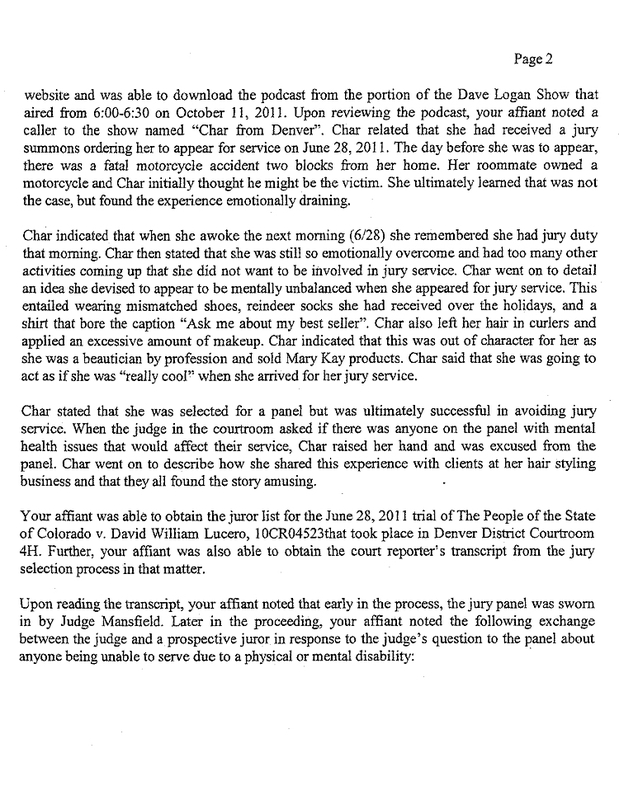 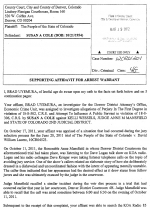 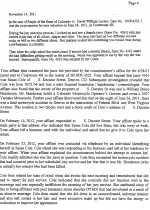 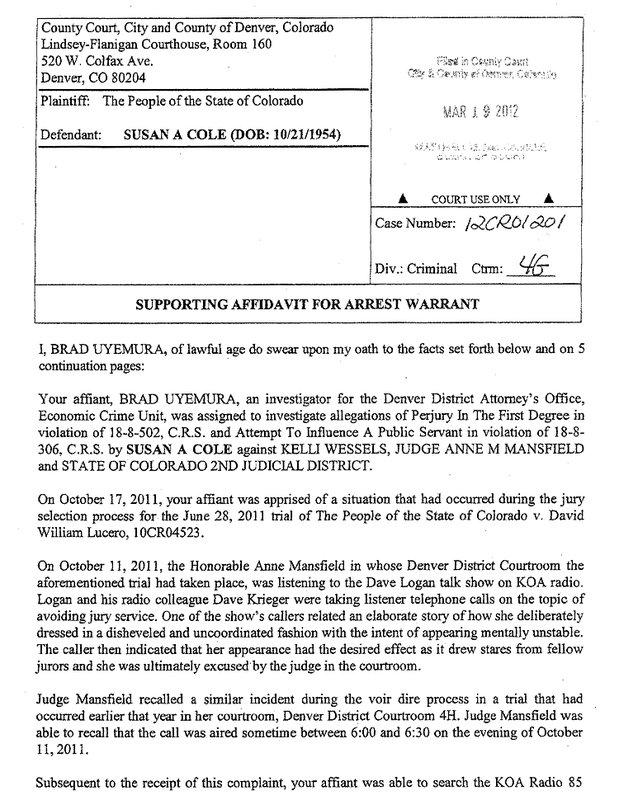 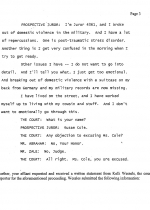 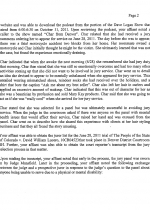 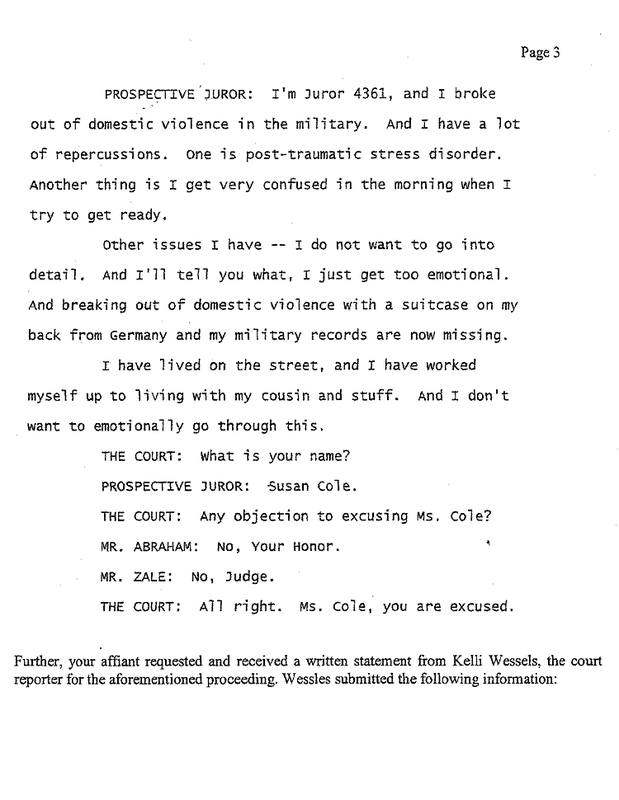 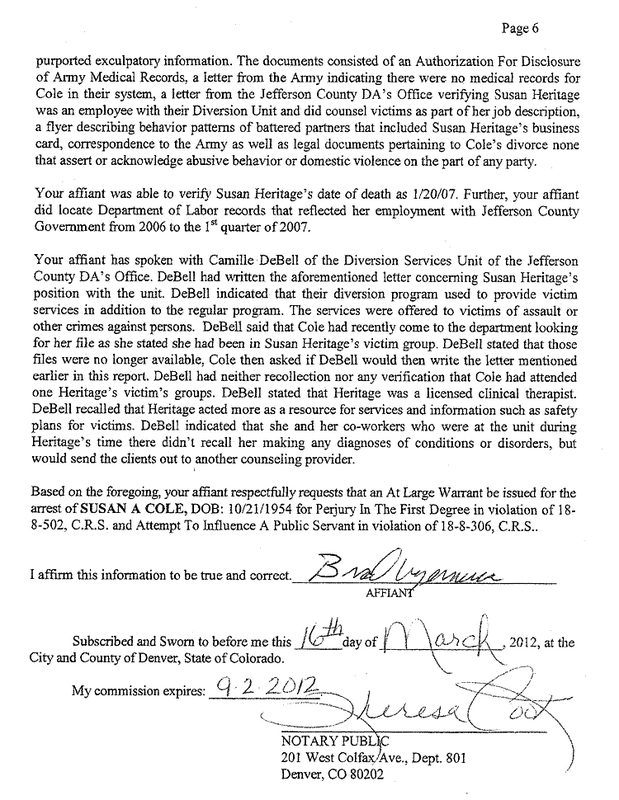 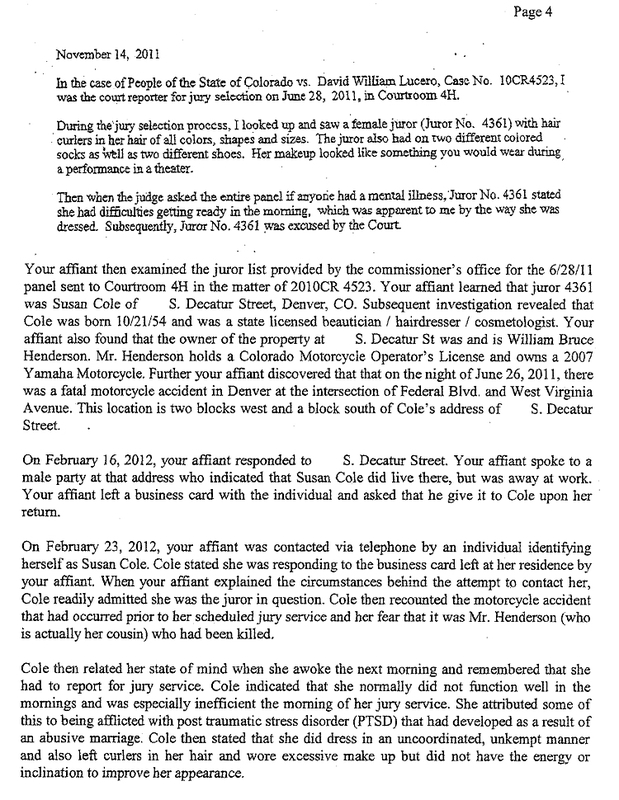 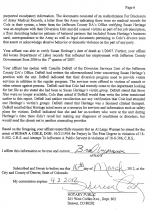 According to an arrest warrant affidavit filed in Denver County Court, Judge Anne Mansfield was listening to a discussion of avoiding jury duty on the “Dave Logan Show” when a woman identifying herself as “Char from Denver” called in and told her story--one that clients of her hair styling business found so amusing that they “would cry we would laugh so hard.” The judge recalled a similar incident earlier in the year of a woman claiming mental illness and getting out of serving on a jury. 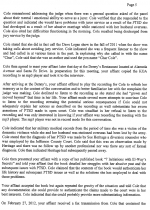 A beautician and seller of Mary Kay products, Cole, 57, devised a plan “to appear to be mentally unstable” by wearing “mismatched shoes, reindeer socks…and a shirt that bore the caption ‘Ask me about my best seller.’” She also claimed to have lived on the street and that she suffered from post-traumatic stress disorder resulting from domestic abuse she experienced in the military. 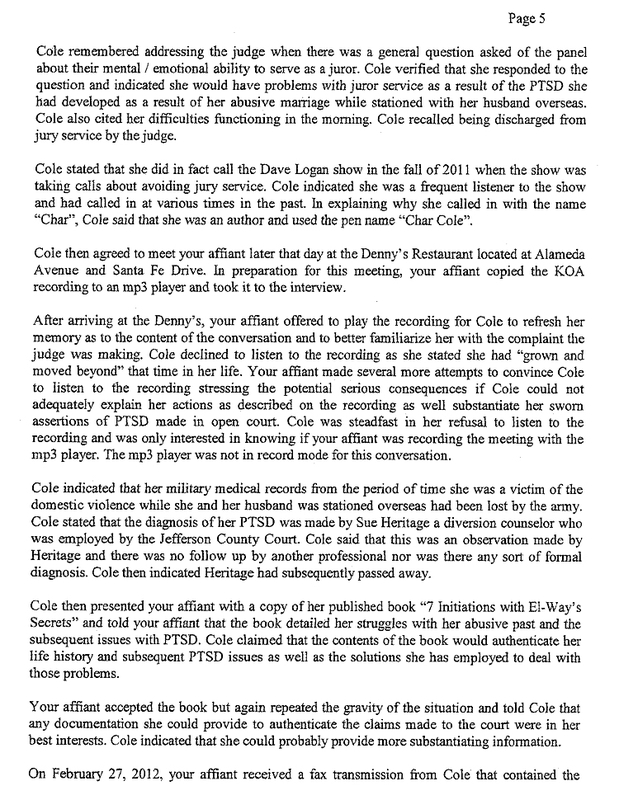 After a brief questioning before the judge, Cole, pictured above, was dismissed from the case without objection from either the prosecution or the defense.